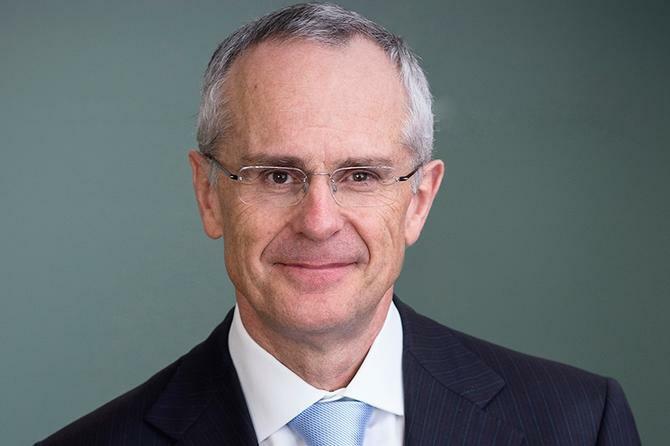 Speaking at the Consumer Policy Research Centre’s Consumer Data Conference in Melbourne today, the Australian Competition and Commission (ACCC) chair, Rod Sims, laid out the case for regulation to create a new consumer data right (CDR), as well as delivered an update on the Digital Platforms Inquiry. Describing the two as intertwined issues, Sims said both are about how businesses and consumers both benefit from data increasingly being collected about consumers as they go about their lives. “Big data is one of the defining megatrends affecting our present and shaping our future,” he said. “We live in a world in which the importance and value of data has increased significantly for businesses, allowing them to target their consumers in ways that were previously unheard of, and the volume of data that is routinely harvested has become almost incomprehensible. One solution being touted by the Government is the national consumer data right (CDR). First announced last November, its launch followed the Productivity Commission’s recommendation for a data right for consumers in its report on Data Availability and Use. Outlined as a ‘data portability right’, the construct is based on giving consumers the ability to take control of their personal data and share it with service providers of their choice. This will relate to information such as transaction and product data. In May, the Government announced it was earmarking $44.6 million, over four years, to get the CDR off the ground. More than $20.2 million is going to the ACCC to determine costs and benefits, as well as to develop and implement rules governing the data right and contents of standards. The Digital Platforms Inquiry was launched last December and aims to investigate the potentially detrimental impact of next-generation digital platform giants, such as Facebook and Google, on media and advertising competition in Australia. More than 60 submissions have been made to the inquiry to date, including from media houses such as the ABC, Fairfax, Network Ten, Foxtel, the Australian Associated Press and Australian Radio Network. In his presentation today, Sims said the CDR will be rolled out sector-by-sector, starting with the banking sector under the moniker ‘Open Banking’. The intention is for all major banks to make data available on credit and debit card, deposit and transaction accounts by 1 July 2019, and mortgages by 1 February 2020. All remaining banks are then expected to comply within 12 months after data on all products recommended by the Open Banking review is available on 1 July 2020. Sims also confirmed a Data Standards body will lead technical standards development for the CDR, and held its first meeting last week. This group is led by independent chair, Andrew Stevens, and supported by innovation lab, Data 61. In addition, the ACCC has established a CDR branch and should release a framework paper in August. As part of his presentation, Sims stressed the CDR will not be designed as a “one-stop shop for regulation and control of consumer data”. “Privacy rules and frameworks will continue to be the primary tools to address current and emerging privacy issues,” he continued. “Robust privacy protection and information security will, however, be a core feature of the CDR. Sims also made the distinction between ‘Open Banking’ and ‘Open Data’, pointing out the latter refers to data freely available for everyone to access, use and republish. “International experience, especially in banking, has shown giving consumers more control over their data increases competition as it gives consumers more scope to compare competing offers, make more information choices and move their business,” Sims said. “Data portability increases competition, particularly for more complex products and services, and creates scope for more complex products and services. It creates scope for businesses to make more tailored offerings, including to innovate new or different products that better meet their needs. In the case of mortgage comparisons, for example, consumers are often on the back foot and inhibited by “opaque” variable interest rates, discounts and terms, as can be seen through the Residential Mortgages Prices Inquiry, Sims said. Sims also provided an update on the digital platforms inquiry, stating a preliminary report is due to Treasury by 3 December 2018. While outcomes are not yet determined, increased transparency, recommendations for addressing structural, competitive or behavioural issues relating to digital platforms, and enforcing actions for modes of operation that cause consumer detriment are all possible. At the same time, Sims noted the ACCC is not trying to tackle all privacy issues relating to consumer data being collected and used by digital platforms.